After Julius Yego becoming the first East African to win a gold medal in a field event, another country wants to rip where it did not sore. 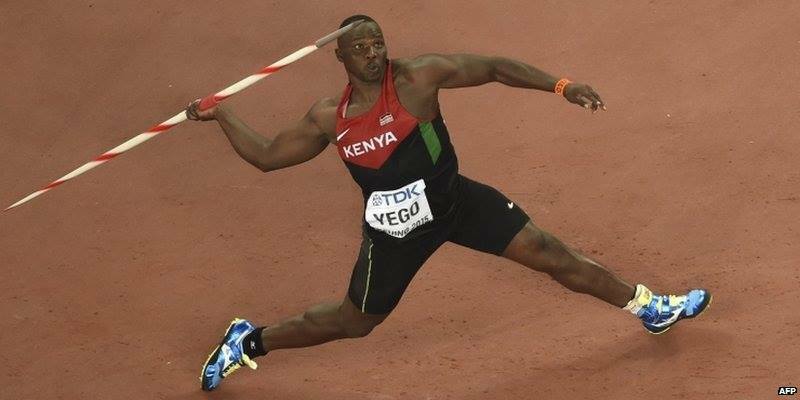 Kenya’s YouTube athlete and world javelin champion Julius Yego might soon ditch Kenyan citizenship for the Qatar one if all goes according to the Qatar government. According to word that has began making rounds in Beijing, Qatar officials were spotted in the athlete’s hotel room in Beijing immediately he won gold for Kenya and tried to plead with him to accept the convincing offer. A hotel attendant (a Qatari national) who did not want his name disclosed told Bandao Broadcasting Media Corporation that three men asked him about Yego’s whereabouts including the room he had checked in. After refusing to show him, they had to disclose to him that they had been sent by the government to convince the recently concluded IAAF World Championships gold medalist to accept the Qatar citizenship and play for them. They only confined to him after realizing that he was one of their own. They even disclosed the amount they wanted to offer Yego telling him that when Yego becomes Qatari and wins gold for Qatar, he too will be proud as a Qatari. It is then that the man decided to direct them to Yego’s room although Yego turned down the offer saying he was proud being Kenyan. After Yego declined, they told him to go and think about it and should he change his mind, call the number that they wrote down for him.